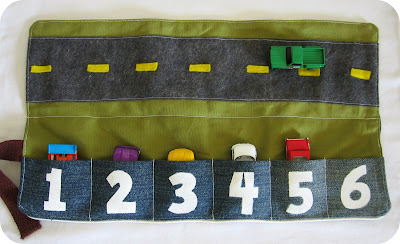 This post from Homemade by Jill makes me wish I could sew because my nephew would LOVE this. 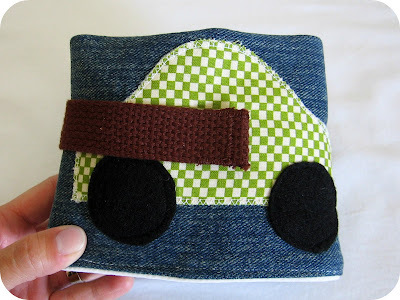 But just because the thought of trying to figure out how to thread my sewing machine gives me an eye twitch, doesn't mean you share my hatred, so check out this adorable DIY Matchbox car caddy tutorial for full instructions. ...opens up to be this awesome car garage racktrack mat thingy. Go check it out. It's pretty cool. Perfect for travel.